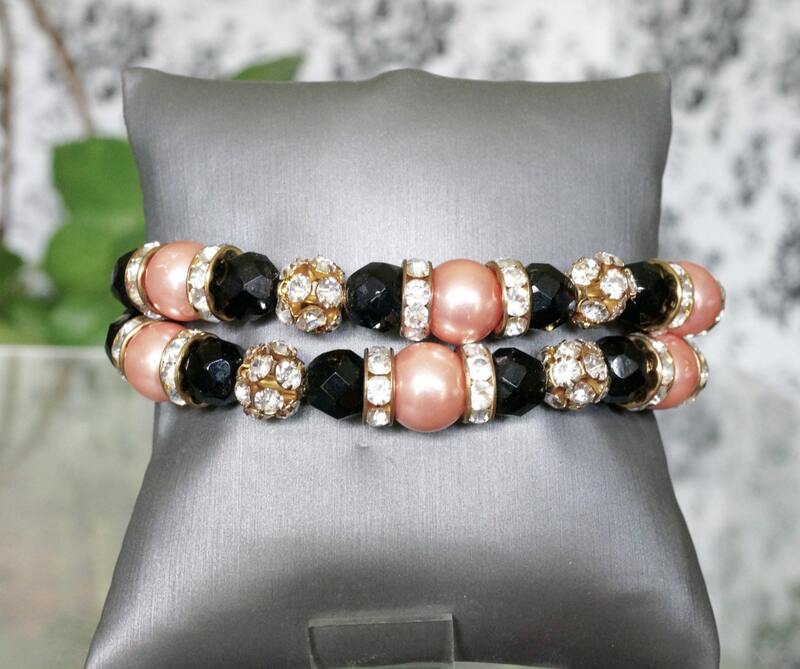 Here you have a gorgeous double strand bracelet made with faceted black onyx rounds, pink shell pearls, jet black Swarovski bicones, and gold color rhinestone rounds and spacers. 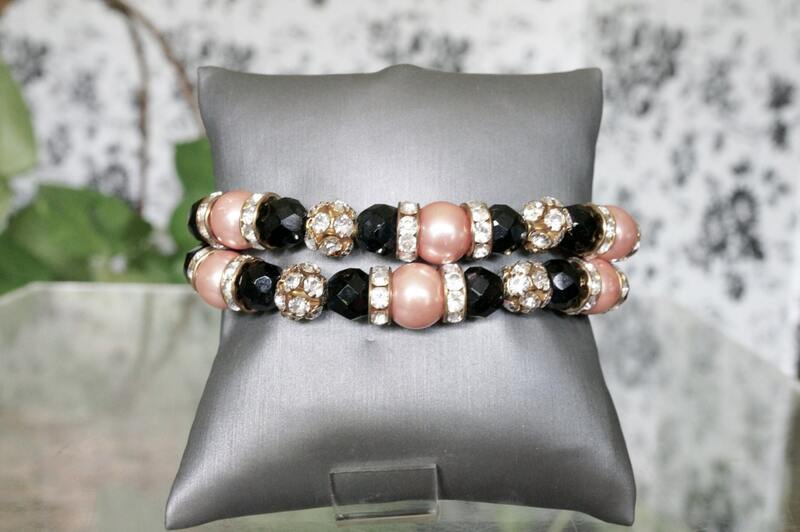 It has a gold finish rhinestone magnetic clasp. The bracelet fits a 7 inch wrist very nicely. Please measure your wrist all around before ordering.